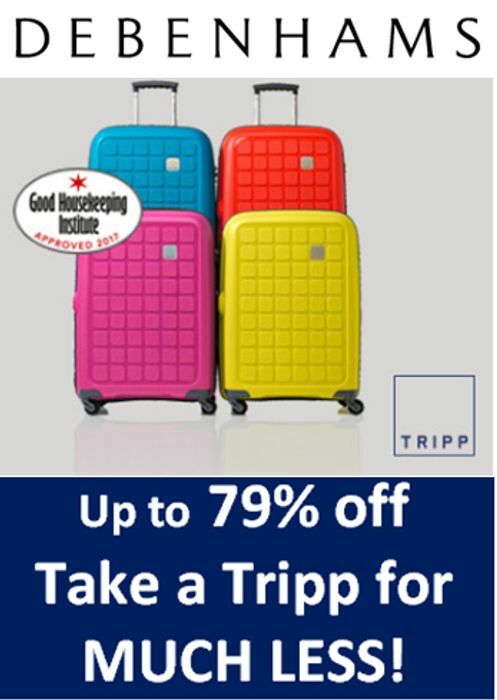 TRIPP LUGGAGE MEGA BARGAINS - up to 79% OFF! save £££. There's loads of MEGA deals on Tripp luggage right now at Debenhams. If you've got a holiday coming up it's a great time to buy. Here's just a few of the deals. Up to 79% off when I looked.